The queen of wands depending on the tarot deck is a court card. Court cards are part of the minor arcana and can be very difficult to decipher as they can represent many things such as personality traits of the querent, the person the querent is inquiring about, various situations, and the elements of their suit. The element for wands is fire. I will discuss court cards in greater length in a separate blog. The queen of wands is very energetic, extroverted and self confident. She possesses a great deal of strength and exudes sexual energy. 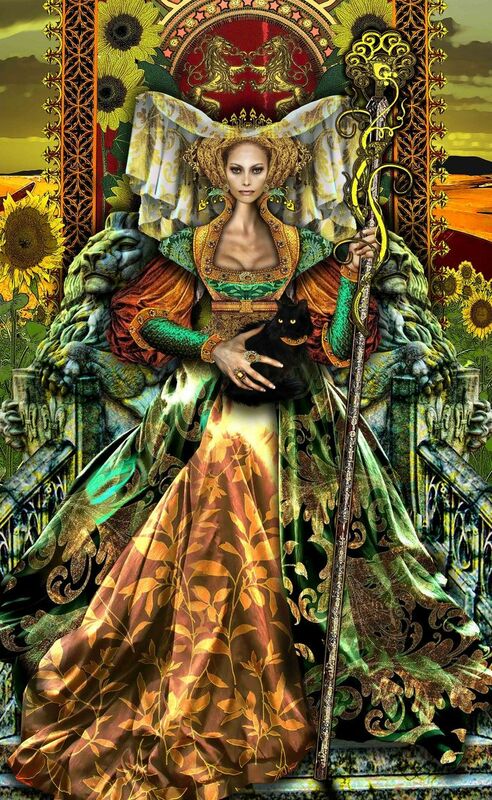 Her wand and sunflower indicate her connection with divinity while her black cat symbolizes her knowledge of supernatural powers. 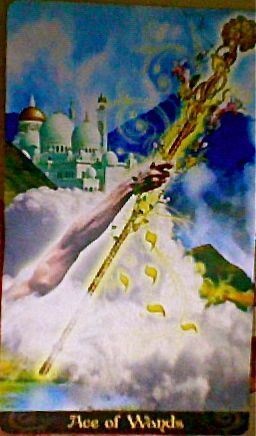 The queen of wands when it appears in a reading asks the querent to be bold in all endeavors as they have a clear direction of where they are headed. When the queen of wands appears reversed in a reading, it can represent a powerful female rival in the querent’s life. In addition, it can also indicate that too much opposition in life has caused the querent to develop a nasty streak which caused them to develop manipulative, deceitful, jealous and bitter characteristics.